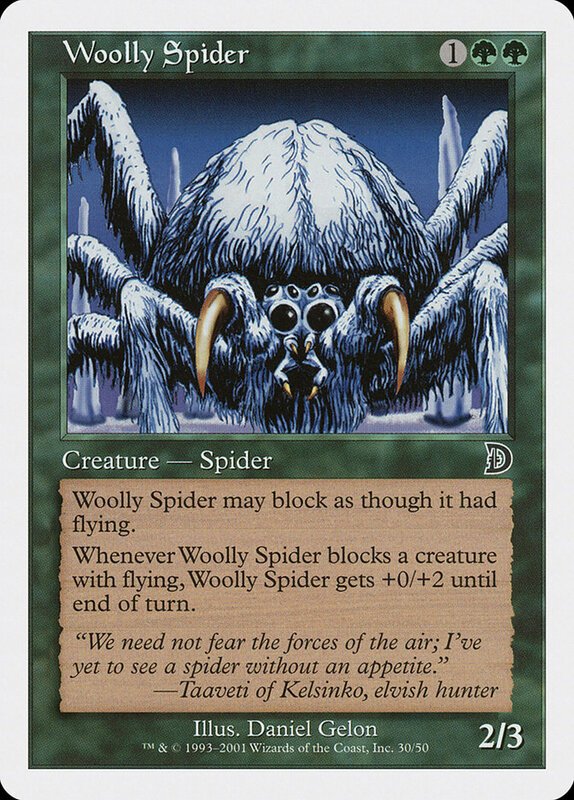 Card Text: Woolly Spider can block as though it had flying. Whenever Woolly Spider blocks a creature with flying, Woolly Spider gets +0/+2 until end of turn. Whenever Woolly Spider blocks a creature with flying, Woolly Spider gets +0/+2 until end of turn.